Oh, how I completely love this time of year, when the light is low and golden in the evening, the air is crisp, and the leaves are so full of color. We had scheduled this session for the week before, but it was so dark and gloomy that we decided to postpone, knowing that our days of beautiful weather might be limited. Living in Minnesota, we know that any day now might bring a blizzard. 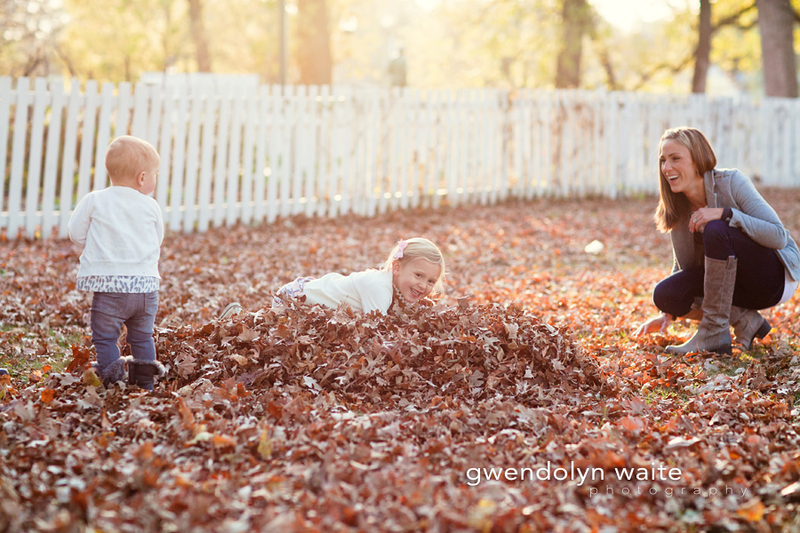 I'm so very glad we held off with their session, because last Friday was absolutely gorgeous! One of those perfect fall evenings. I just love this family - I've gotten to know them a bit over the years, photographing them since Maddyn was just 14 months old. Now she's four, and has a little sister who is just cute as a button. Here are a few of my favorites from their session.